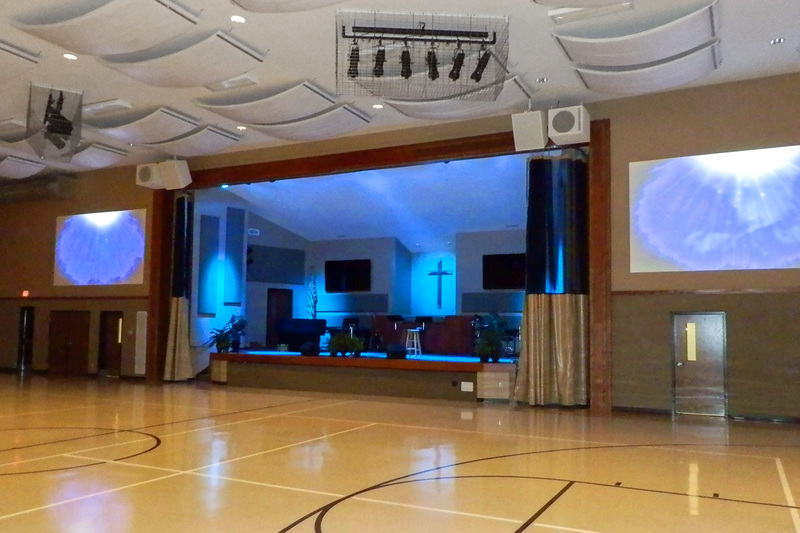 The University Christian Church multipurpose space with the new WorxAudio loudspeakers installed. As a nondenominational Christian church, University Christian Church offers its congregation a variety of ministries, including Bible school, home fellowship, and children’s’ and junior and senior high school groups. To ensure the best possible physical plant for teaching and activities, the church recently upgraded its gymnasium into a multipurpose facility that measures 120 by 60 feet, with a ceiling height of 25 feet, and seating for 400 to 450 people, depending upon the seating arrangement. To ensure optimal audio performance, the new sound-reinforcement setup includes loudspeaker systems drawn from the TrueLine catalog of WorxAudio Technologies®, a division of PreSonus® (http://www.presonus.com/). From left to right: System Designer AJ Fager and Alex Moon, Director of Service and Engineering for Force Technology Solutions. For information about Force Technology Solutions, visit their website at http://www.forcetechsolutions.com/. 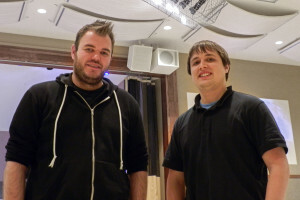 For information about WorxAudio Technologies, please visit http://www.worxaudio.com/. For information about PreSonus Audio Electronics, please visit http://www.presonus.com/. For additional information, visit the company online at http://www.worxaudio.com/.